Let Inclusion London know about your experience of welfare benefit sanctions. 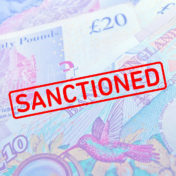 The information will be used to inform our evidence to a Select Committee inquiry into sanctions. Please get in touch before the 17th May. Message from Fuel Poverty Action. This petition is the first step and the launch our new national campaign. We need it to go big. Campaigns meeting for DDPOs – 26 April 2018; 2 – 5pm. We Are 336, Brixton Road, London. 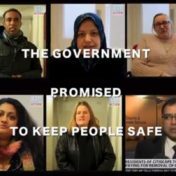 Come to share your experiences of what hasn’t and hasn’t worked, find out more from a legal perspective and explore how we can better co-ordinate our campaigning across London and nationally. Your guide to the 2018 Local Government Elections on 3 May. 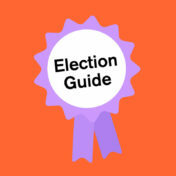 Read our guide for information on how the local elections work; registering to vote; key dates; how DDPOs can engage in the local elections and suggested questions for parties standing in the local elections. 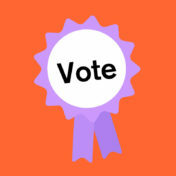 On Thursday 3 May Londoners will choose who will run their Local Council for the next 4 years. Who wins control of Local Councils and all the services Councils provide will make a huge difference to the 1.2 million Disabled people living in this city. Our colleagues from the Public Law Project are taking the DWP to court for the failure to make good reasonable adjustments for disabled people who need communication via email. 13 CCGs, including Brent and Harrow in London, have been issued legal letters over placing disabled people into nursing homes on the basis of arbitrary cost caps, even if the person would choose to be at home. Press release from the Equality and Human Rights Commission. 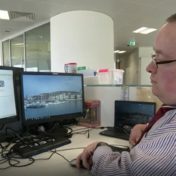 With hours to go before a BBC disability news team feature examining the detrimental impacts of the Access to Work cap is due to air and with an impending high court challenge against the cap, the government has announced it is increasing the cap. They say this will affect fewer Deaf and Disabled people. The House of Commons Petitions Committee is investigating online abuse and the experiences of Disabled people after a petition started by Katie Price achieved more than 220,000 signatures. 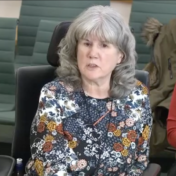 Inclusion London’s Chair Anne Novis gave oral evidence to the committee, and we have also submitted written evidence.